Unfortunately, we happened to arrive in Ireland the day after St. Patrick's Day; however, we could still feel the spirit of the day in the atmosphere. There were signs up along the streets wishing a Happy St. Patrick's Day to everyone in both Gaeilge (Irish Gaelic) and English. 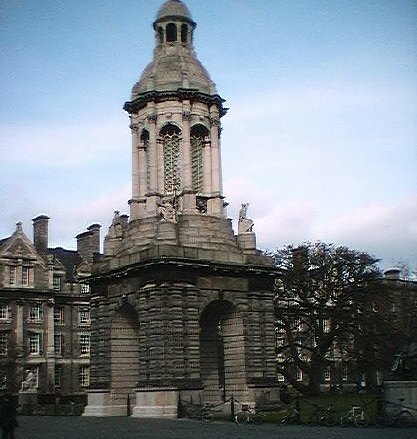 During our comprehensive, self-guided walking tour through the streets of Dublin, we also managed to take in one of the quads of Trinity College, which was founded in 1592 by Queen Elizabeth the First and which is the single constituent college of the University of Dublin. 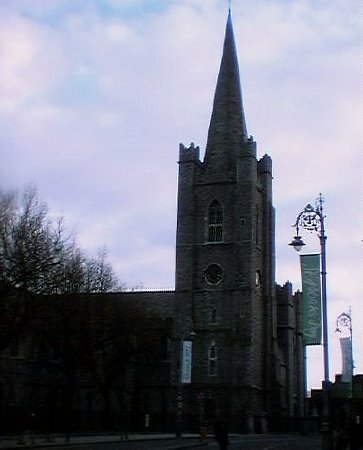 It is the oldest university in Ireland. After a few hours of wandering around the streets, we needed to stop for a little refreshment. 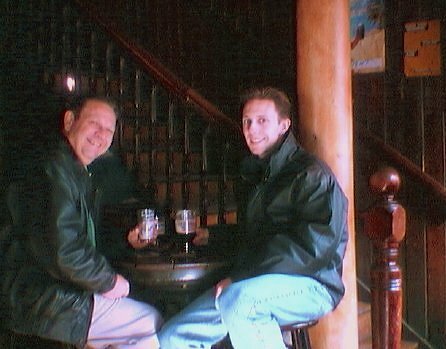 We popped into a pub on Temple Bar to quench our thirst. Joy took a break from her favorite dark beer to snap this photo.